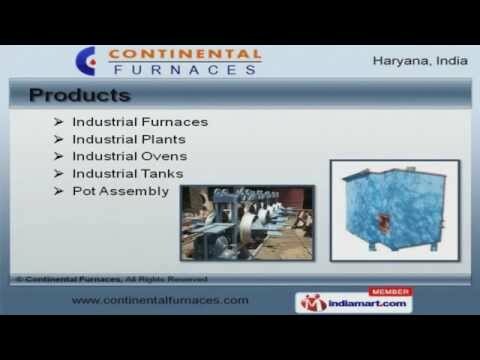 Welcome to Continental Furnaces, Manufacturer and Exporter of Industrial Annealing Furnaces and Plants. The company was established in 1987 at Faridabad. Our products Conforms to industry guidelines and we are equipped with World class manufacturing unit. Gemscab Industries and Metal Coating India Limited are some of our esteemed clients and we are backed by International quality standards and Peerless quality products. We present a rich collection of Pot Assembly, Industrial Furnaces and Ovens. Industrial Furnaces offered by us are acknowledged for their functionality. Our Industrial Plants are in huge demand across the global markets. We are highly instrumental in presenting a wide spectrum of Industrial Ovens that are widely demanded in the market. We are one of the trusted names of the industry engaged in offering genuine quality Industrial Tanks that are extremely reliable. Our Pot Assembly are setting a performance standard in the market.